A solar advocate who found a way to create bulk-purchase discounts for home rooftop systems is growing it into a national movement to assert what she feels are the rights of system owners. 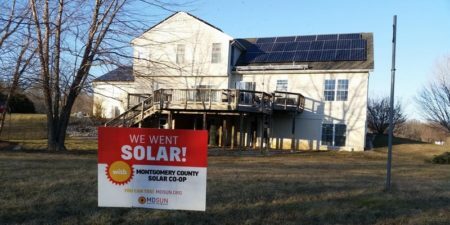 What launched as the Community Power Network in 2007 in the Washington, DC, home of Anya Schoolman is expanding under a new name – Solar United Neighbors (SUN). The new organization is targeting, Florida, Pennsylvania and other states by year’s end, with a goal of establishing operations in at all 50 states by the end of 2018. Click here to continue reading. A national solar energy company is betting nearly $1 billion on an Oregon development spree, including five new solar farms in Marion and Polk counties. The panel manufacturer latest round of funding follows on its October 5 announcement of a $140 million funding agreement with True Green Capital Management for commercial projects in five states. The importance of grid resilience during severe storm conditions, PV Magazine. In this op-ed, AES Energy Storage underscores the role that battery storage can play in making grids more secure and resilient during and after disasters. At the recent PV Taiwan event, pv magazine caught up with Lu Zhao, head of PV System Technology Group at the Solar Energy Research Institute of Singapore (SERIS) to discuss the current potential of floating PV applications, and examine how hydropower coupled with floating solar could become a world-leading energy sector. This entry was posted in NewsBlog and tagged Community Power Network, electric EVs, floating PV, Nebraskans for Solar, renewable energy news, Solar United Neighbors (SUN) on October 24, 2017 by Helen Deffenbacher. 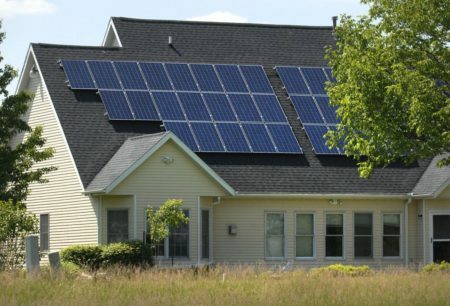 A large solar system helps power a house on Ironwood Golf Course in north Normal. Group-buy programs like Solar Bloomington-Normal allow local residents and businesses to pool their resources and install individual solar energy systems at lower bulk rates. StraightUp Solar estimates the average Twin City homeowner could save 20 percent in upfront costs through Solar Bloomington-Normal. While the initial investment is still expensive — an example from StraightUp Solar estimated the cost of a 5-kilowatt home system at $15,950 after the group-buy discount — customers can receive not only free energy, but tax credits and incentives that reduce the long-term cost of the system. After those credits, the same home system falls to an estimated $5,250. Read more. How much does a PV system currently cost in Nebraska? This entry was posted in Financing, Nebraska / Midwest News, NewsBlog and tagged American Solar Energy Society, Community Power Network, Midwest Energy News, Milwaukee Journal Sentinel, Nebraskans for Solar, solar group-buying programs, The Pantagraph on May 20, 2016 by Helen Deffenbacher. A Milwaukee group-buy program that aims to provide volume discounts for homes and businesses adding solar systems is expanding citywide this year, and beyond the city limits to Shorewood. The group-buy program was launched by Milwaukee Shines and the Midwest Renewable Energy Association three years ago and has gone from neighborhood to neighborhood until now. Read more here. 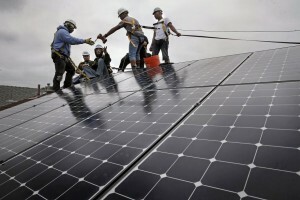 This entry was posted in Installation, Nebraska / Midwest News, NewsBlog and tagged American Solar Energy Society, Community Power Network, Milwaukee - Wisconsin Journal Sentinel, Milwaukee Shines Solar Group Buys, Nebraskans for Solar, solar group-buying programs, Van Meter Inc. on April 25, 2016 by Helen Deffenbacher.